Perfect Laser is the leading manufacturer of advertising engraving machine industry. 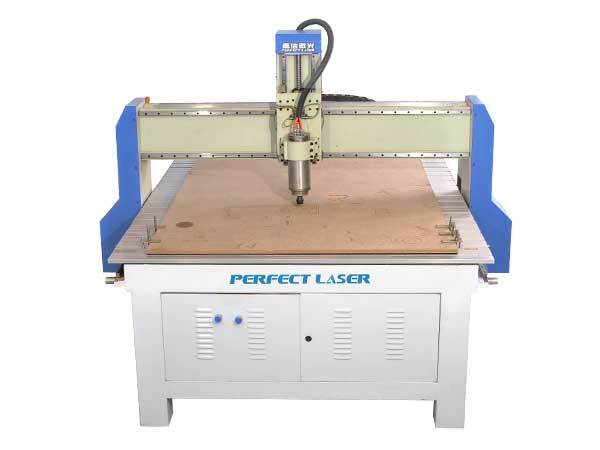 In order to meet the needs of the market, Perfect Laser recently developed cnc routers for woodworking. CNC routers for woodworking is equipped with a variety of power to meet the advertising industry needs, such as cutting MDF, wood, plexiglass and other non-metallic materials and common metal materials. 1.Optional U disk embedded DSP or NC professional CNC machining system, the wood cnc machine can continue to carve in the case of power failure, and the processing time can be predicted, the machine can be achieved knife (optional) simulation carving. 2.Handle type operation, large LCD screen, unique machine design, it is more conveniently to use wood cnc machine. 3.The wood cnc machine body adopts high strength whole casting mechanical structure, wood cnc machine is equipped with imported linear guide, double row four ball slider, bearing capacity, machine running more stable, higher precision, more accurate tool placement. 4.Wood cnc machine is compatible with a variety of software, such as the market commonly used Wentai carving, TYPE3, ARTCAM, JD carved, MasterCAM, UG, Castmate a variety of industrial design CAD / CAM software. 5.Spindle power can be selected according to the processing requirements, optional 1.5kW/2.2 kW/3kW/4.5kW, screw drive, steel platform, automatic water circulation, driver amplifier. 1.Wood cnc machine suitable materials: Wood, MDF, MDF, PVC plastic, plexiglass, acrylic and other non-metallic materials and common metal materials. 2.Wood cnc machine suitable industry: advertising word engraving and cutting, MDF cutting and engraving, hibiscus board processing, acrylic processing, handicrafts, signs, nameplate, electronic chassis openings, small cylindrical three-dimensional relief, PVC cutting and so on.